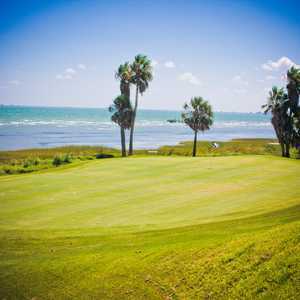 Long considered the jewel of the Gulf Coast, NorthShore is known for its famous stretch of holes on the back nine (13-16) set against the backdrop of the bay. 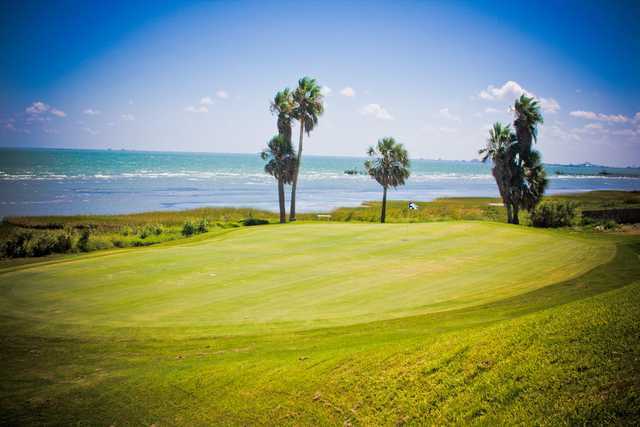 Built in 1985 by Bruce Devlin and Robert von Hagge, this private course is available to the public due to reciprocal arrangements with several Coastal Bend hotels. 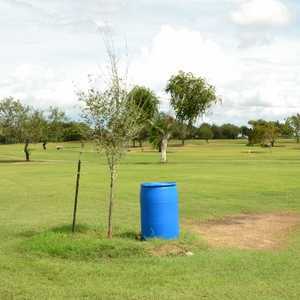 The course is not particularly long (6,805 yards), and there are not many trees, but winds often blow 20-40 MPH on good days, and the design is loaded with bunkers, water hazards, and side-hill lies. The fairways are 419 Bermuda, and the slick, elevated Tifdwarf greens are known for being in excellent condition year-round. Course knowledge makes a difference here, so it's to your advantage to play with a member or schedule multiple rounds while you're in the area. The design features several blind tee shots. The more difficult back nine, while more open, is considered more of a position golf course. 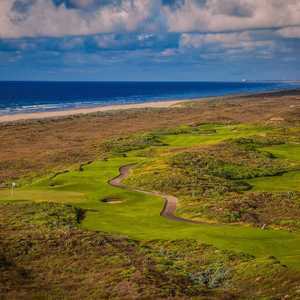 Some have compared the famous stretch on the back nine to playing on a resort course in Hawaii. 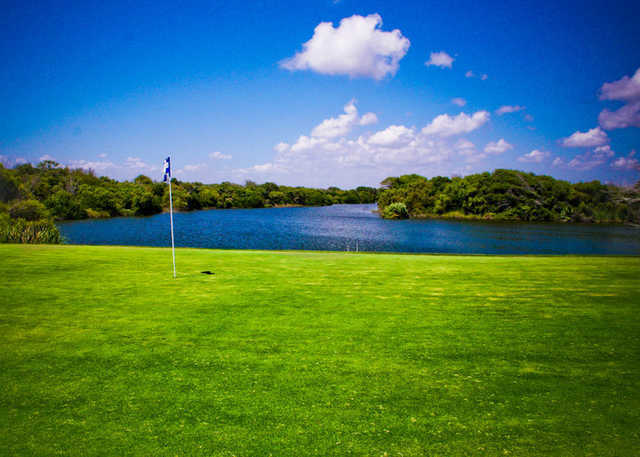 It starts with the signature 13th hole, which plays from a spectacular tee over an inlet of the bay down to a massive green cuddled up against the sand and surf. Watch out for the wind and the ocean spray while you're putting. Nos. 14 and 15 play along the bay. Keep your tee shot left on the 531-yard 14th to avoid the cliffs looming right on the second shot. The 352-yard 15th hole doglegs right and plays over an inlet just past the turn. The green here isn't an inviting target-it's tiny, elevated, and surrounding by waste areas and a bunker. You might be able to finally take a breath after No. 16, a long par 3 into a deep green with the Gulf on the left. Getting there : From I-37 south, take Hwy 181 north. Exit at NorthShore Blvd. and turn right. Drive a short distance and look for the course entrance off of Broadway. Back 9 is gorgeous, Refinery lights at sunset will make even the 'bro'-ish guy in the group admire the backdrop. Solid place to hone skills against South Texas wind. If Corpus Christi/ Portland ever wanted to reach their potential, there would be plenty of courses like this around. But they prefer everything stay as is, so enjoy North Shore. It's the only decent round you'll be able to play when visiting. The front nine is longer than back nine. The wind can be a factor most of times, the greens are sloped & quick. 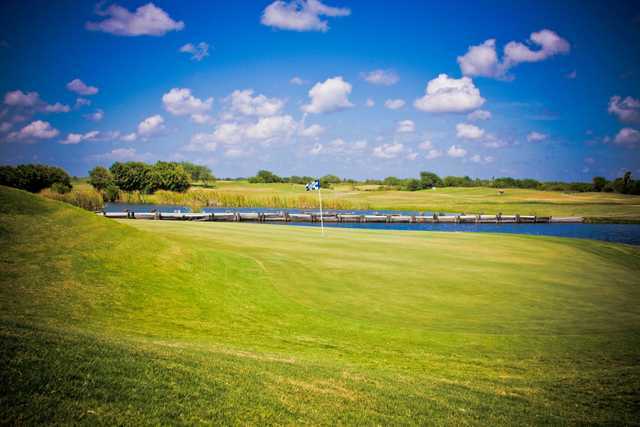 The back nine has alot of character since it plays along the bay. The best course around CC I think.